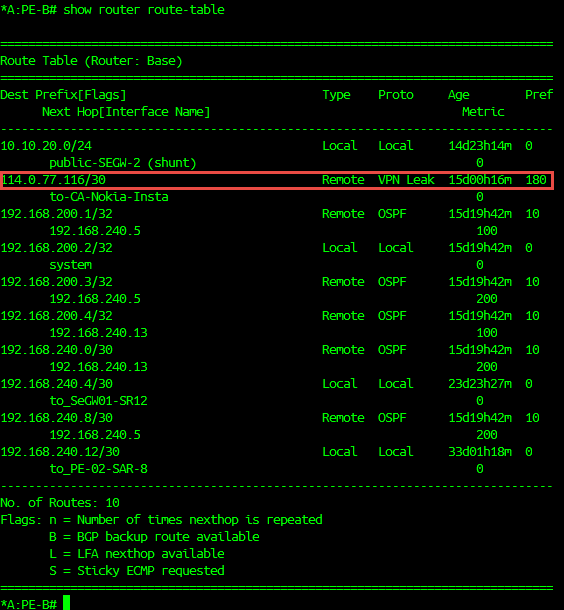 For this step I need two policies in PE-B, the first policy to distribute to local, I need this to limit the prefix advertisement from vrf to GRT. 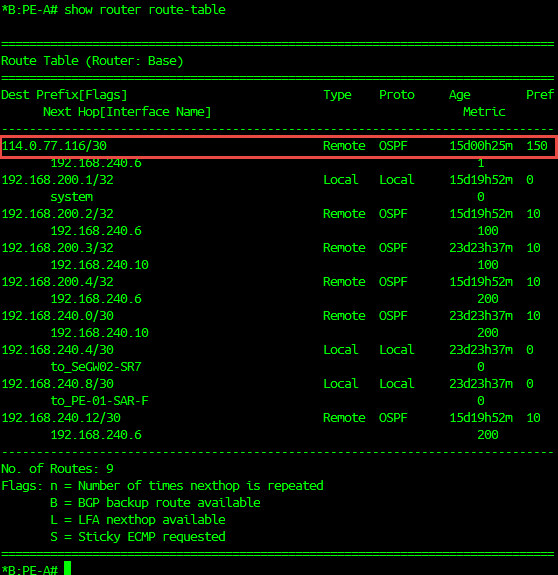 The GRT-Leak-Prefix using for to the specific prefix need to advertise to Global routing table. *A:PE-B# /show router policy "Prefix-Limiter-VRF"
*A:PE-B# /show router policy "VPN-to-OSPF"